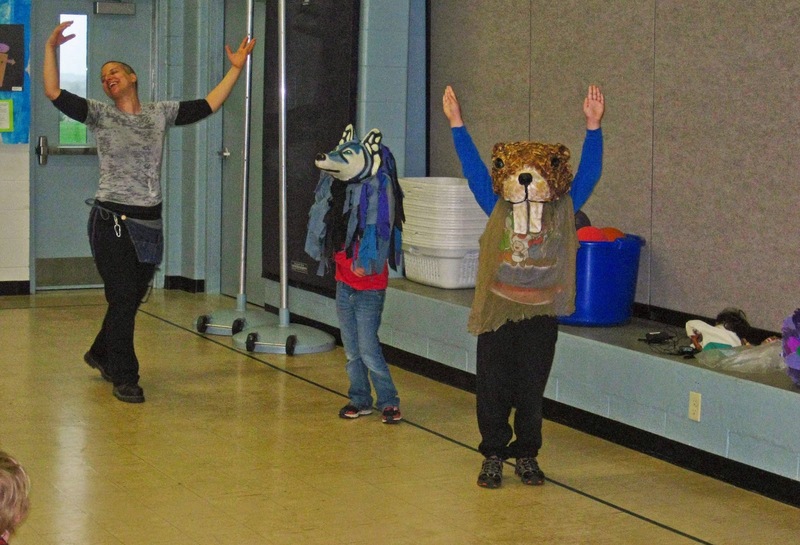 Ridgeway Community School had the great honor to host two amazing artists, Stacy Lee King and Madeline Helling from In the Heart of the Beast Puppet and Mask Theatre. 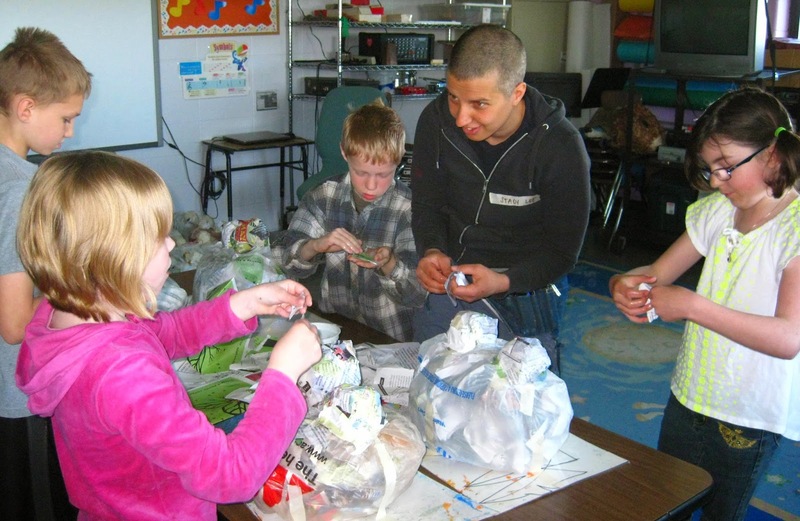 They had workshops with our students aged 3- 11 years old, Preschool through Grade 5. 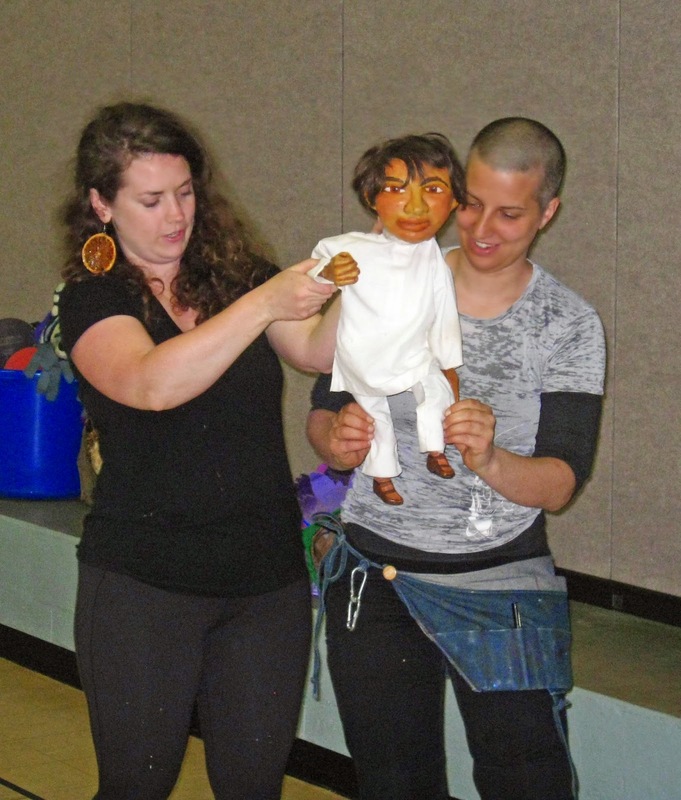 Stacy Lee and Madeline began on Monday, May 12 by introducing the students to puppetry with an all school assembly. 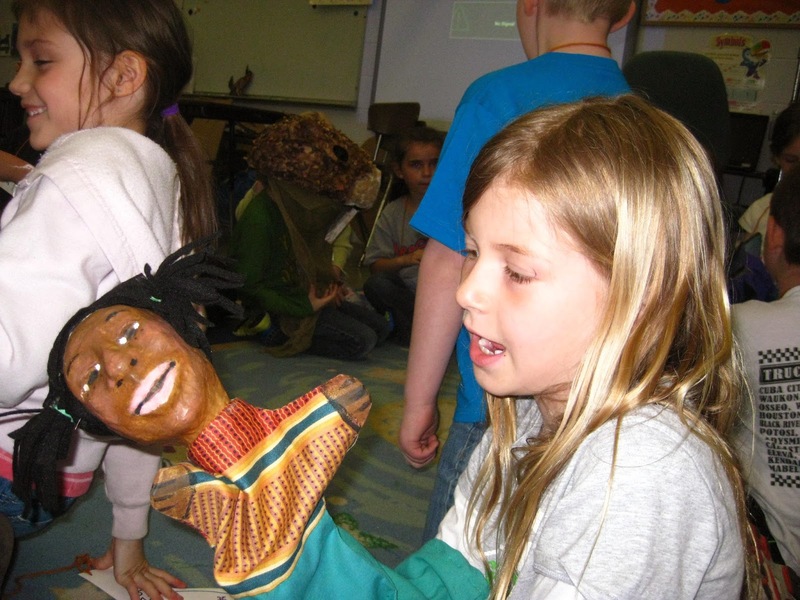 They shared stories and puppets for the students. 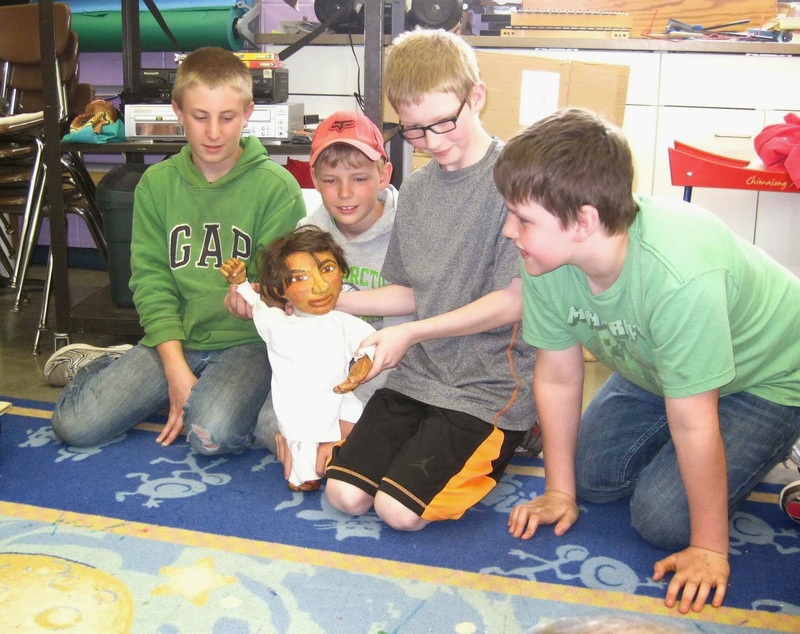 They showed how to work a puppet with two people. 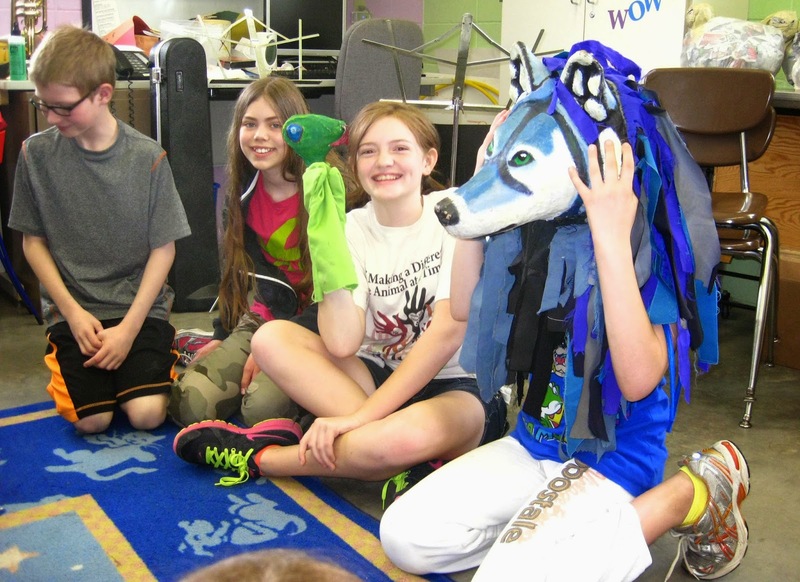 They had students acting out a puppet show. 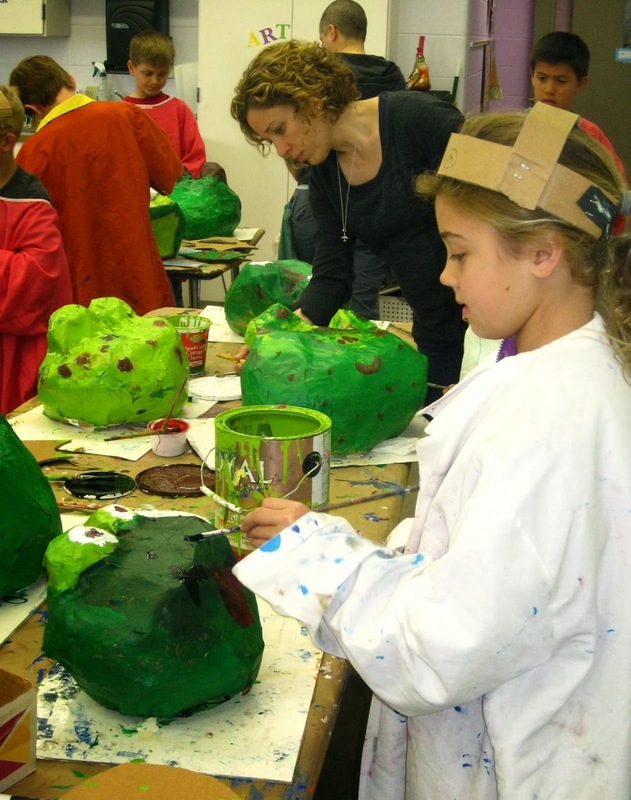 They told the students that In the Heart of the Beast Puppet and Mask Theatre, HOBT, they had puppets that were two stories tall and required 15 people to operate them! 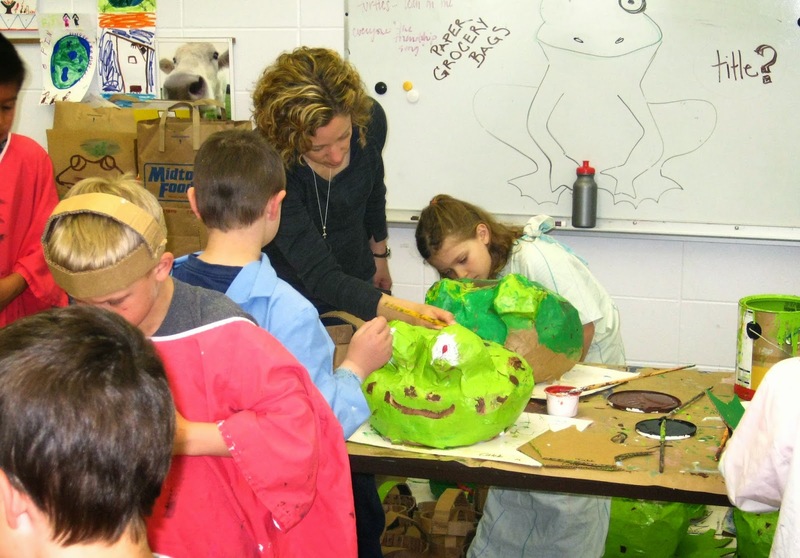 When each class of students came in work with the artists, they played games with the children to learn their names and find out about their favorite critter. 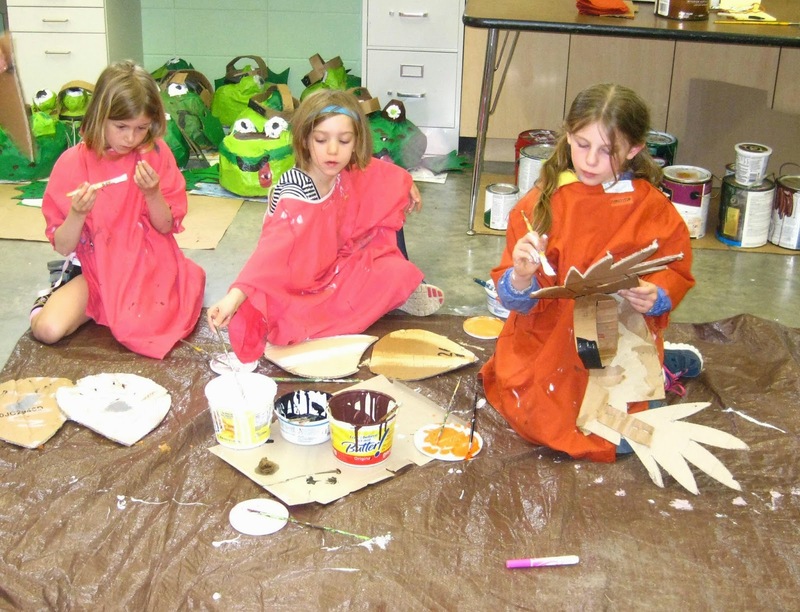 The children got to hold and work with the puppets. 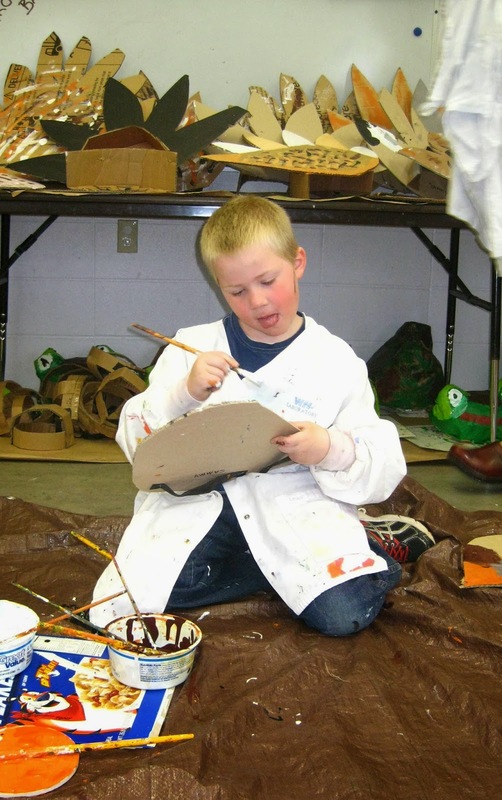 At Ridgeway Community School we teach 3-4 year old Preschool, one class Kindergarten, one class 1st grade, two classes of second and third grades; and two classes of 4th and 5th grades. 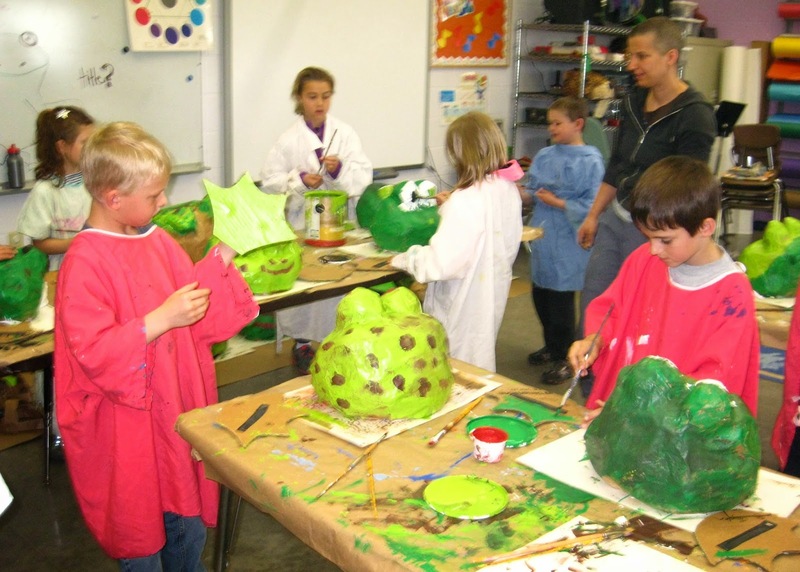 The 2nd and 3rd grade students would create frogs and preform as frogs for the musical pageant. 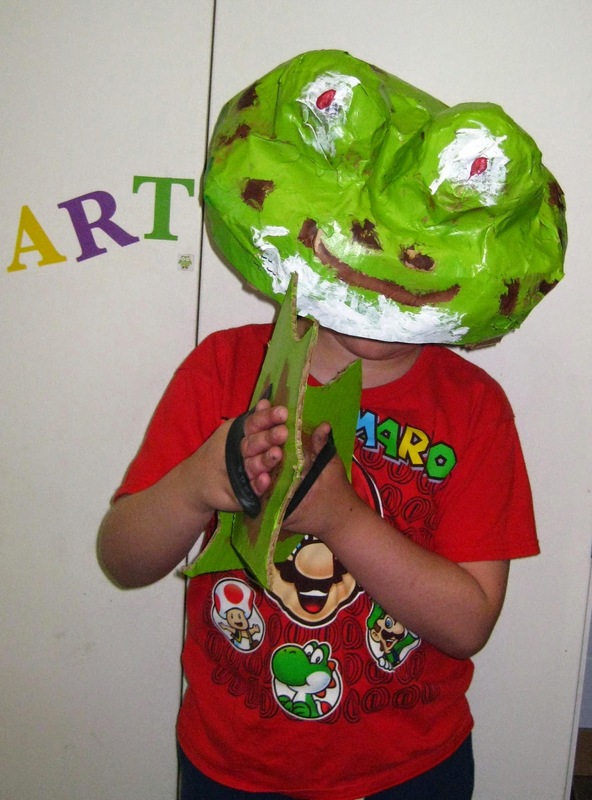 To create the frog masks, the children filled up plastic bags with newspaper and tied them shut. Then they balled up newspaper for two eyes that they taped to the head. 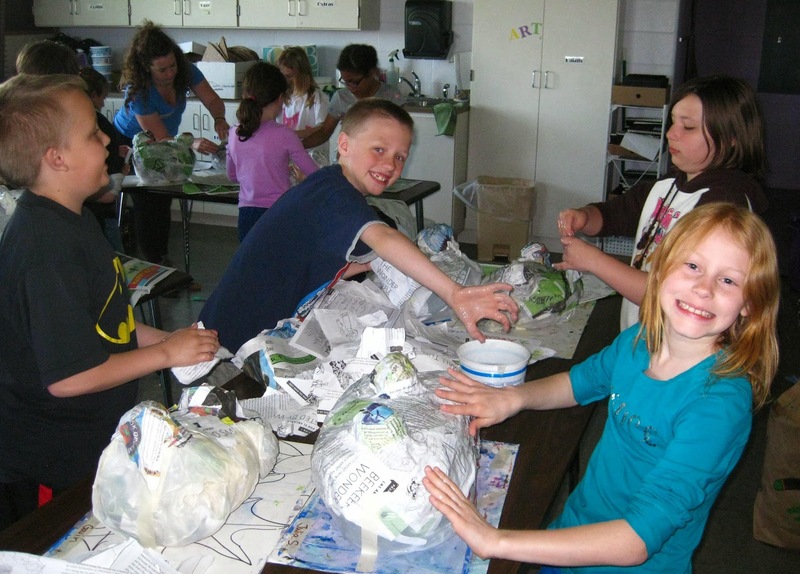 One group began the paper mache possess on the first day. 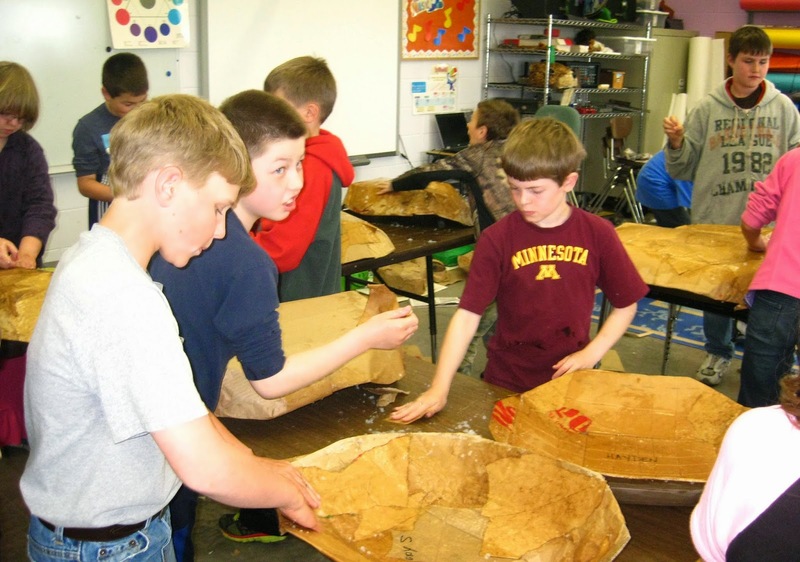 The process continued on their next session and they added brown bag for strength. 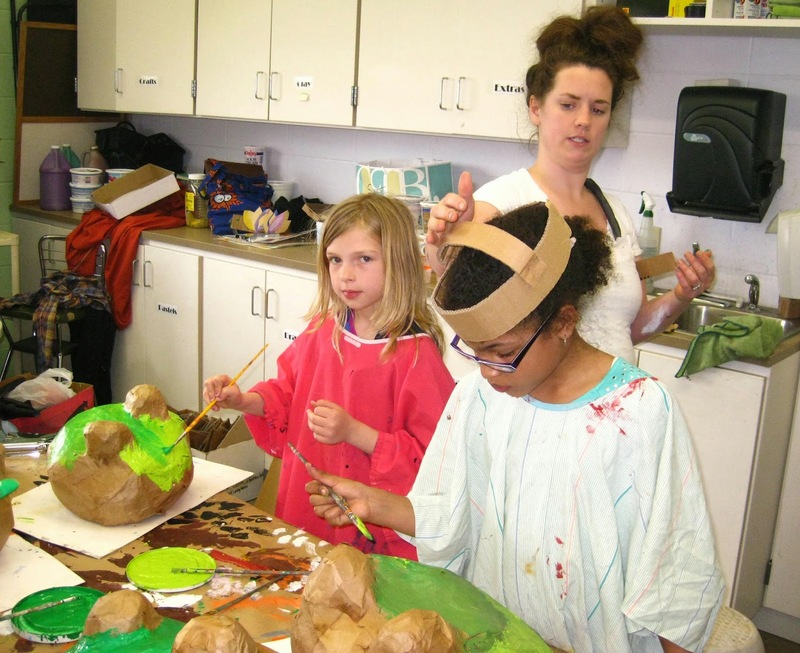 The children played animal games in between the making. 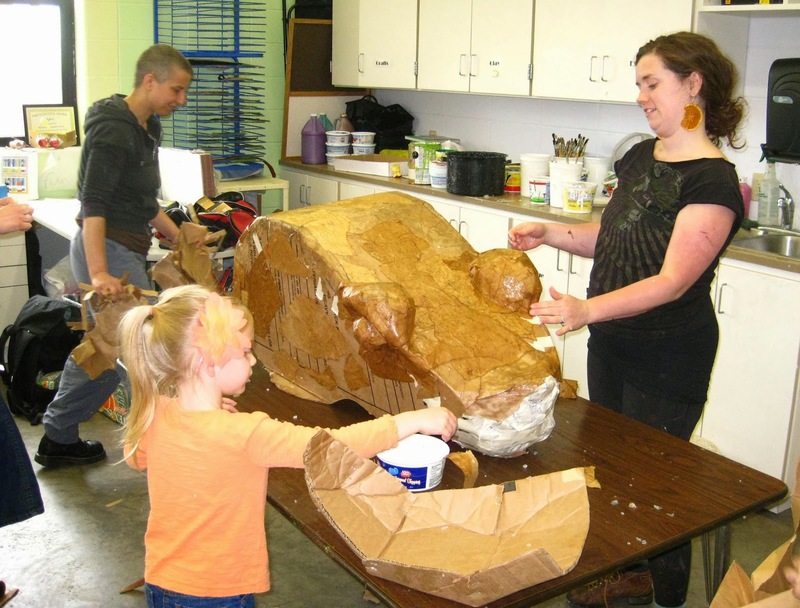 Madeline and Stacy emphasized that the materials used were recycled or re-purposed—old cardboard, newspaper, bicycle inner tube from flat tires. 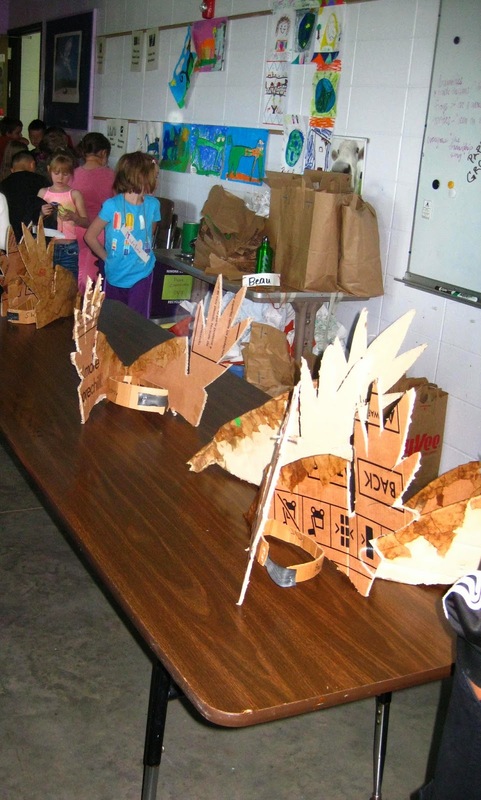 The first grade students created prairie chicken masks. They paper mached the beaks. 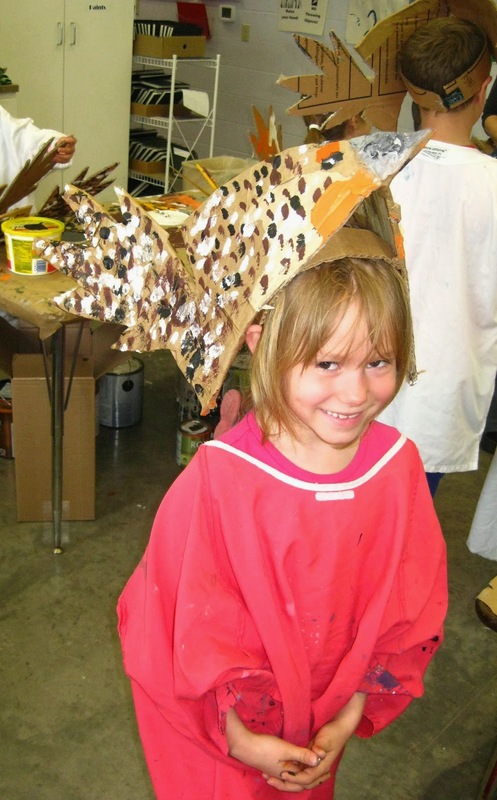 Another day, they painted the mask, wing, and tail feathers. 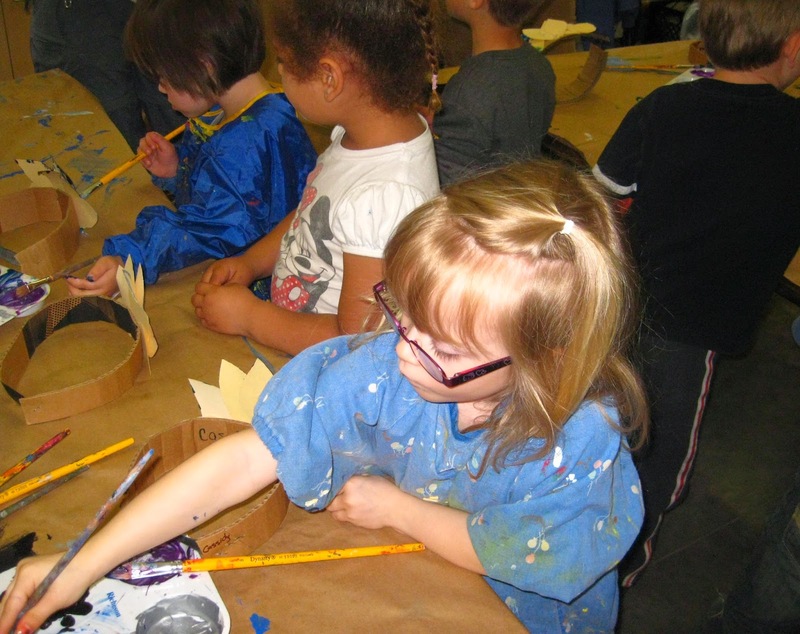 The youngest children or our school, the 3-4 year old preschoolers, painted lily flowers for their mask/crowns. 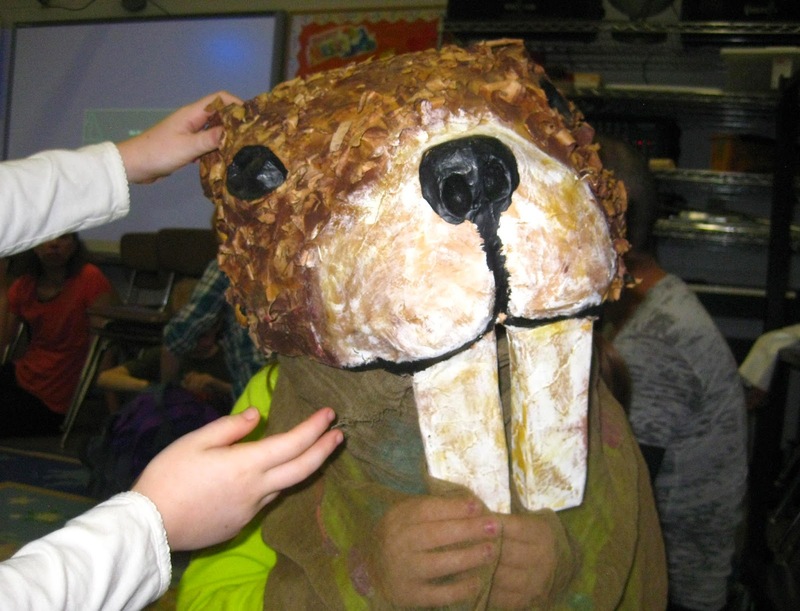 The 2nd & 3rd Graders painted their masks and got fitted for the masks with a piece of cardboard and rubber inner tube to make it snug and comfortable for the head. Parents came to help and join in the fun. 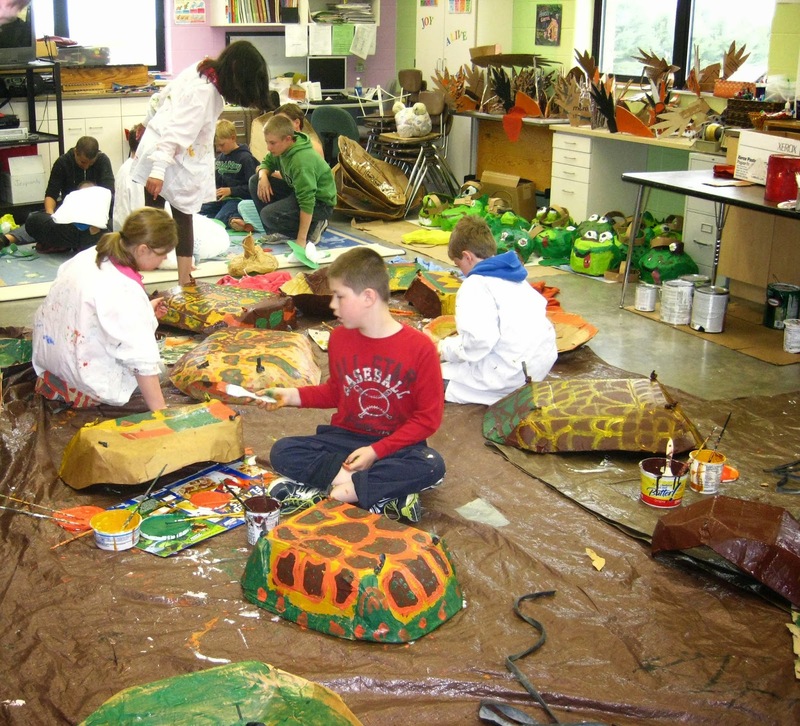 The 4th & 5th Grade students created turtle shells. They paper mached with brown bag. 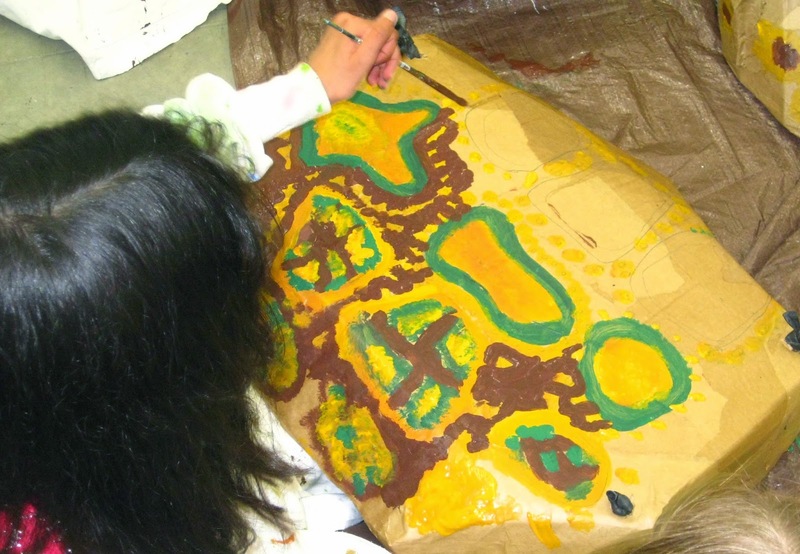 In the next session, they painted. 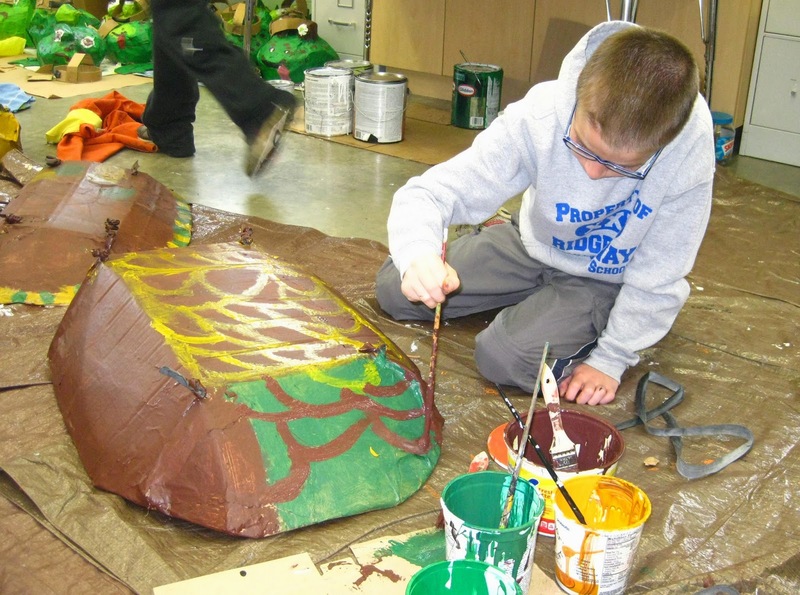 There were many variations on how to create the lines for the painted turtle. 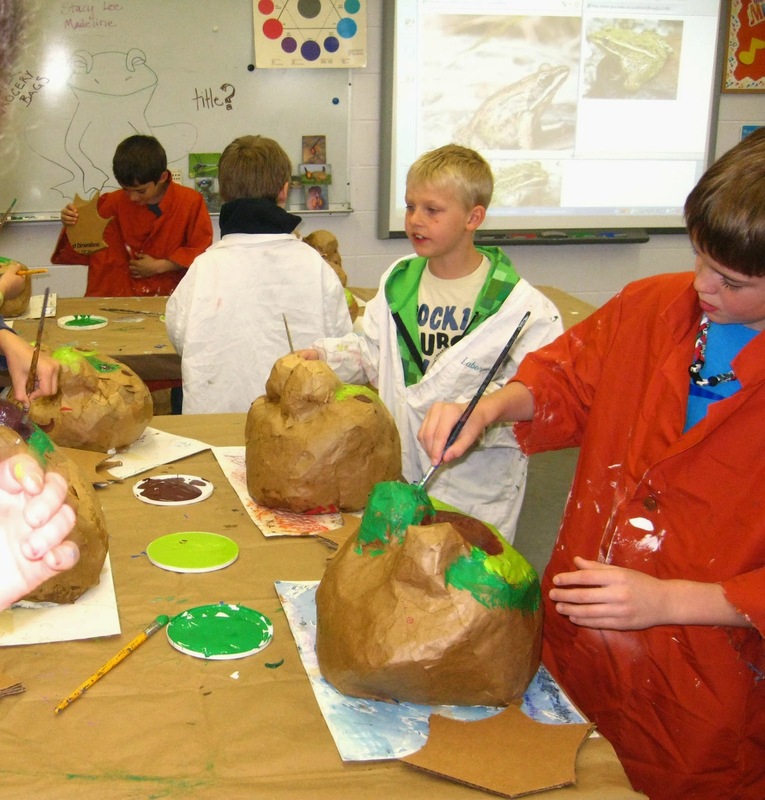 Lots of artistic expression. The large turtle began with the head. In the next post, check out how everything turned out and see pictures of the outdoor performance. Stay tuned!! !